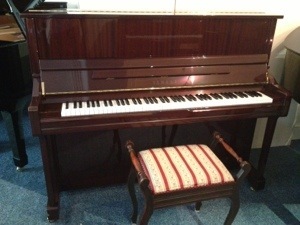 Are you looking for a wood finish, mahogany Yamaha upright piano? Then look no further. This British built Yamaha U1N was bought new in the UK in 1999 and has been privately owned since then. The casework has minor marks, but it is in overall good condition.